For many, hitting the open water on a boat for the weekend is a great way to get away from the hectic lives we lead. For some people, the excitement of being on a boat doesn’t end Sunday afternoon. Living on a boat is something many people have probably thought about, especially while sitting at a desk in an office mulling your poor life choices. Most people brush this thought off as a dream that will never come true. That’s sad because what could be better than falling asleep to the sound of waves every night of the week? And imagine having your morning cup of coffee while sitting on the deck watching yet another extraordinary sunrise. In fact, there are many reasons why life would be much better if you were living on a boat. 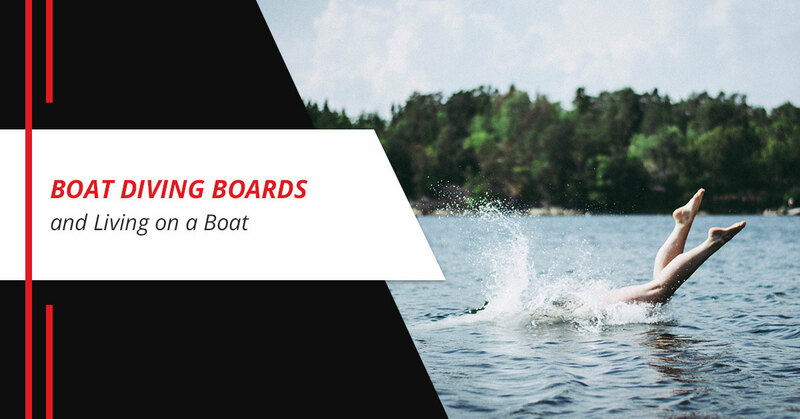 Lillipad Marine, your source for boat diving boards, offers reasons why you should seriously consider living on a boat. One of the best reasons to live on a boat is the traveling you can do. Living on a boat is much like living in an RV in that you are always ready to go. Living on a boat means you can travel to different marinas, coasts and even different islands and countries. All you have to do is start up the boat and go. In addition, traveling is a heck of a lot less expensive when you live on your mode of transportation. You might get along fine with the neighbors on your street, even if the junked out car in the driveway bothers you and the occasional rowdy party is some cause for concern. The neighbors you have when living on a boat are quite different. You will find that your boat neighbors have the same mindset as you and you might even share adventures with them. There are a lot fewer distractions to worry about when you live on a boat, so your stress levels are lower. Think about the things that stress you out, like knowing you have to mow the lawn or the long, crowded commute to and from work. These stresses simply do not exist when you live on a boat. There are far fewer distractions living on a boat than living on land. Most people who live their lives on a boat spend their days cooking, reading, swimming and fishing. You are feeling more relaxed just reading this. Living on a boat requires a more minimalist life than living on land. Boats, no matter how big, just do not have the same storage capacity or space as a house. This means you don’t have room for much of the things you have at home. This isn’t a bad thing. When you live on a boat, less is truly more. The stuff you can’t take with you when you live on a boat can be sold or donated, and you won’t miss any of it. You should use the money from the stuff you sell to buy a boat diving board. Shop at Lillipad Marine today.